Lacock in Wiltshire is one of those breathtakingly pretty English villages that usually only exist in paintings. It's true that all over England you can find a few quaint cottages or a picturesque village green, but the beauty of Lacock is that the whole village is a delight. This is the kind of place you see in TV period dramas; actually it is the place you see in TV period dramas. The BBC discovered Lacock back in the 1980s and have been putting it on to our screens ever since. 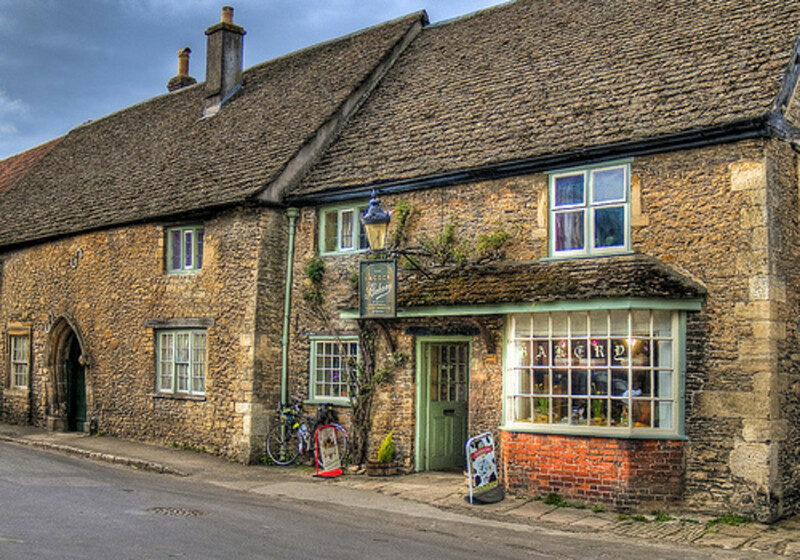 More recently, Lacock has been discovered by a new generation, since the village is now a Harry Potter film location. What has drawn a wizard, carriages full of ladies in crinolines and countless tourists to Lacock? Join me on a quick tour of Lacock past and present to find out. 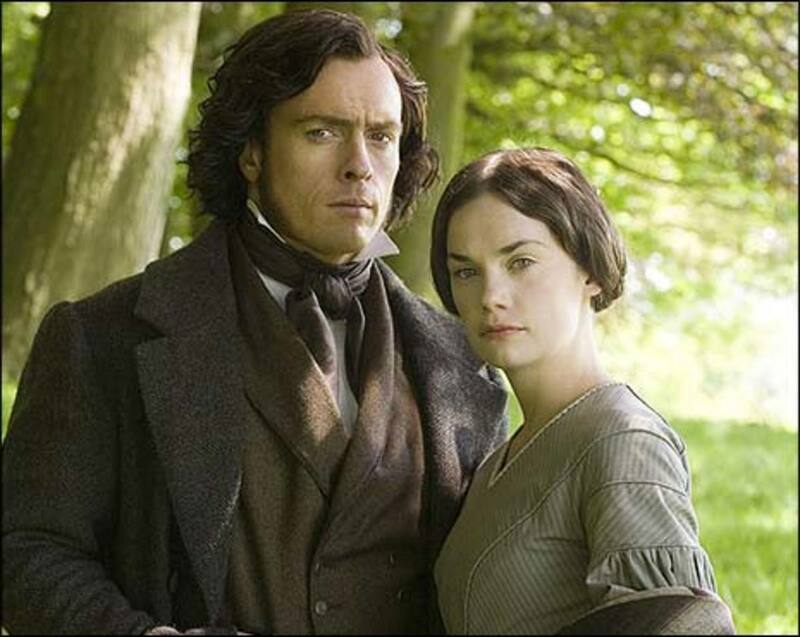 The BBC's 1995 production of Pride and Prejudice was incredibly popular. 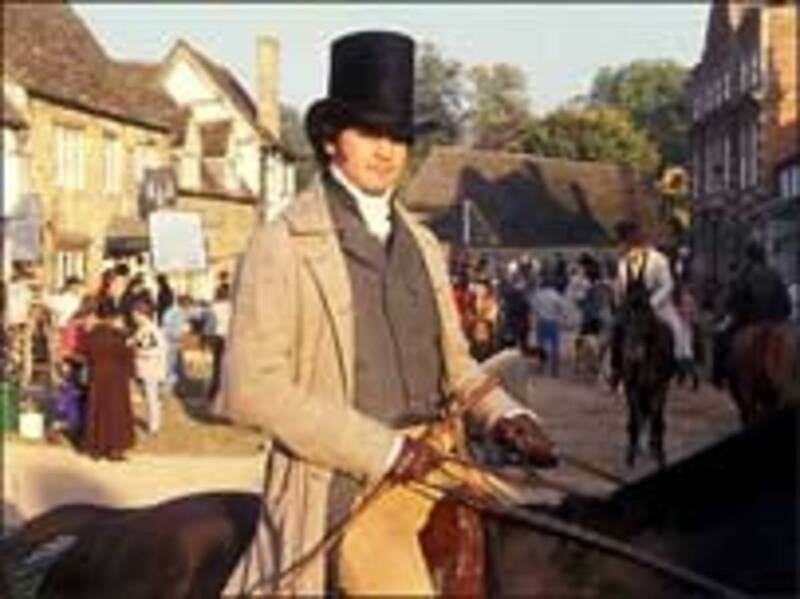 It made a star of Colin Firth, but Lacock put in a strong supporting role as Meryton, the Bennett family's (fictional) local town. In the book, the Bennett sisters walk from their home to Meryton to visit the miliner's shop and visit their aunt. The scenes in the film showed off Lacock to fine advantage. Jane Austen's fictitious town of Meryton was meant to be in Hertfordshire, not Wiltshire. Lacock's nearby Luckington Court was chosen to double for Longbourne, the home of the Bennett family. In 1996 two versions of Emma were filmed. The TV version starred Kate Beckinsale and Mark Strong and was filmed partly in Lacock. The village was used as Highbury, home to the Woodhouse family. Miramax didn't use Lacock for their version, starring Gwyneth Paltrow; they decamped to Dorset. 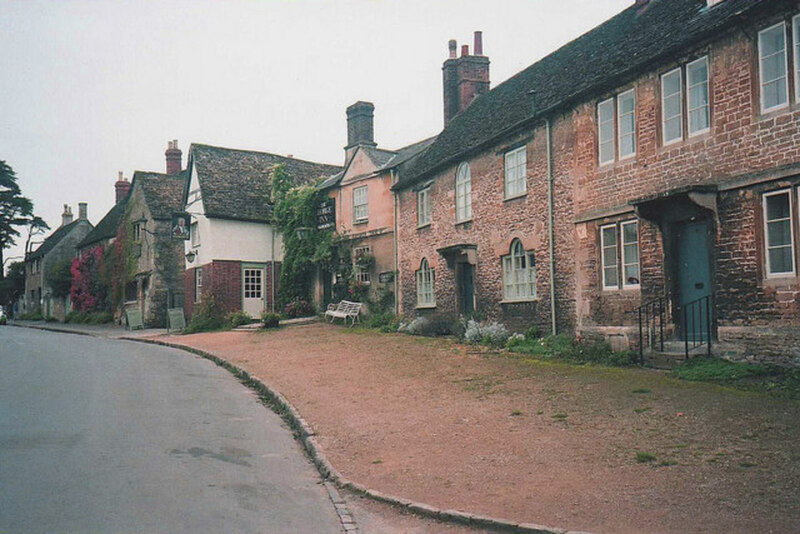 Lacock had to turn back the clock still further in 1996 to play host to Moll Flanders. Alex Kingston played the title role in this production, with a young Daniel Craig providing support. 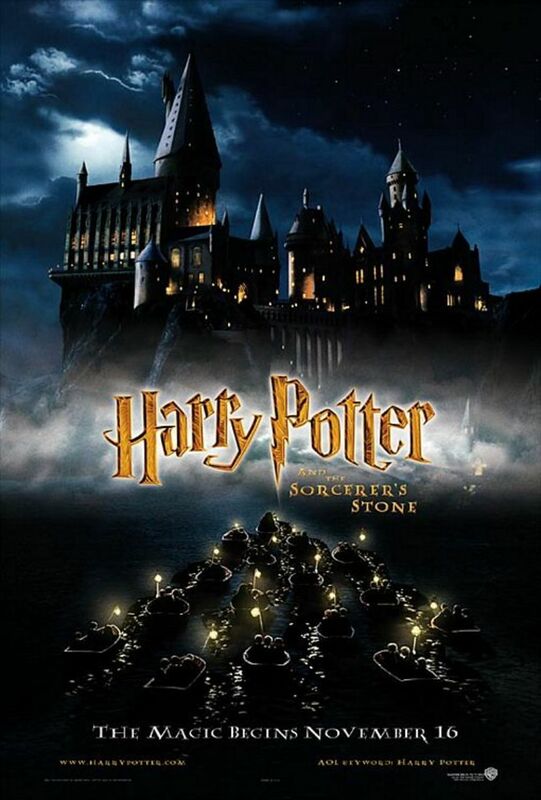 Lacock has featured in several of the Harry Potter movies. Mostly it is Lacock Abbey that features as Hogwarts. The cloisters and several rooms inside the ancient building play their part in creating JK Rowling's vision of the School of Witchcraft and Wizardry. 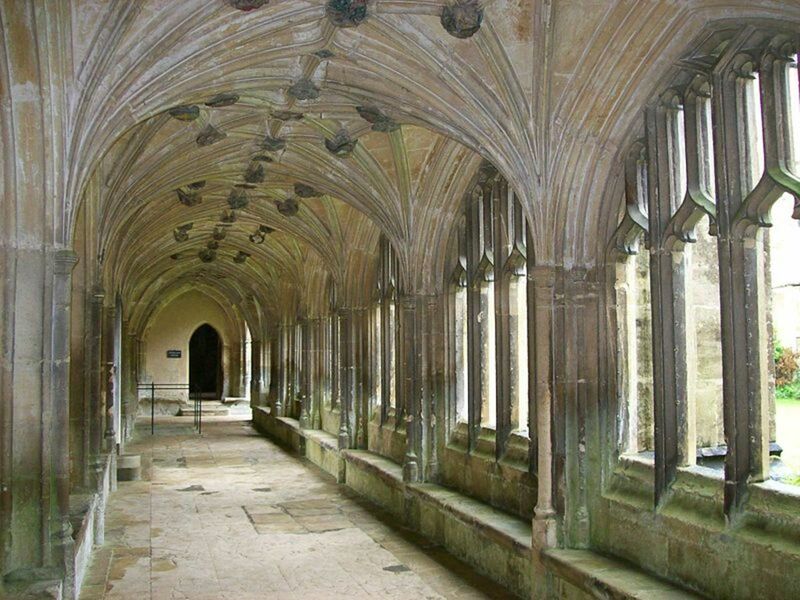 Amongst the rooms that you might spot from Lacock Abbey are Professors McGonagall, Quirrel and Snape's classrooms. The memorable scene where Dobby turns on Lucius Malfoy and tells him that "you shall not harm Harry Potter!" is also recognisable as the cloisters from Lacock Abbey. In addition, one of the village's houses is used as Harry's childhood home, the place where Voldemort kills Lily Potter in front of her son. 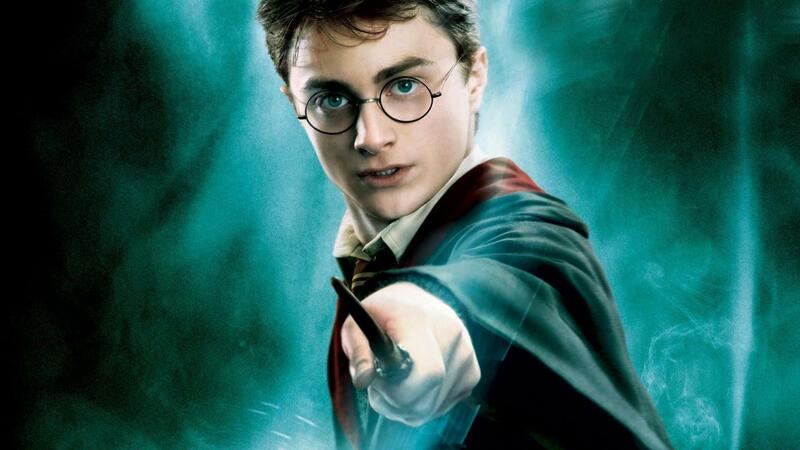 According to the IMDB movie database, Harry Potter locations in Lacock include the Abbey, Church Street and the Angel Inn. 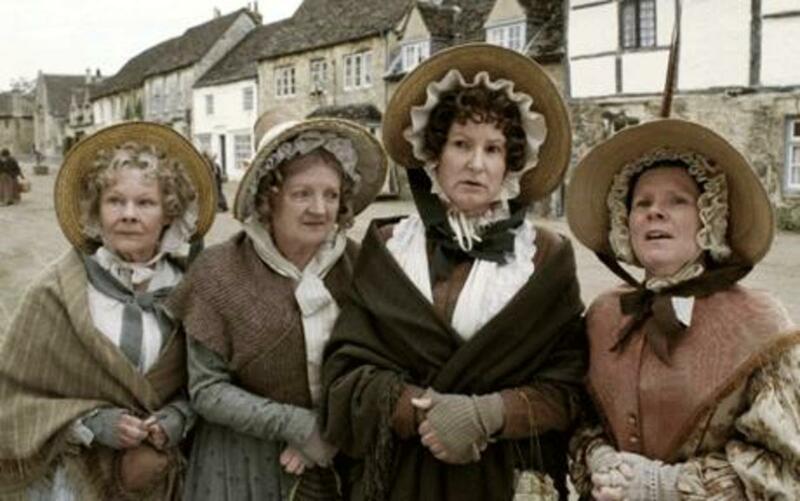 In 2007 Lacock finally stepped out of the background and got a starring role when the BBC cast it as the town of Cranford in the TV series of the same name. Although actually set in Cheshire, Lacock looks the perfect part. The production was based on three of Elizabeth Gaskell's novellas and starred a plethora of British acting talent, including Dames Judi Dench and Eileen Atkins, Francesca Annis, Philip Glenister and Martin Shaw. Not just a drama, this is a gentle comedy too, with keen observations of everyday life in a provincial town on the cusp of major change. The story follows the townspeople of Cranford as their community changes with the coming of the railway. Some are able to embrace the change, whilst others cling resolutely to the past. 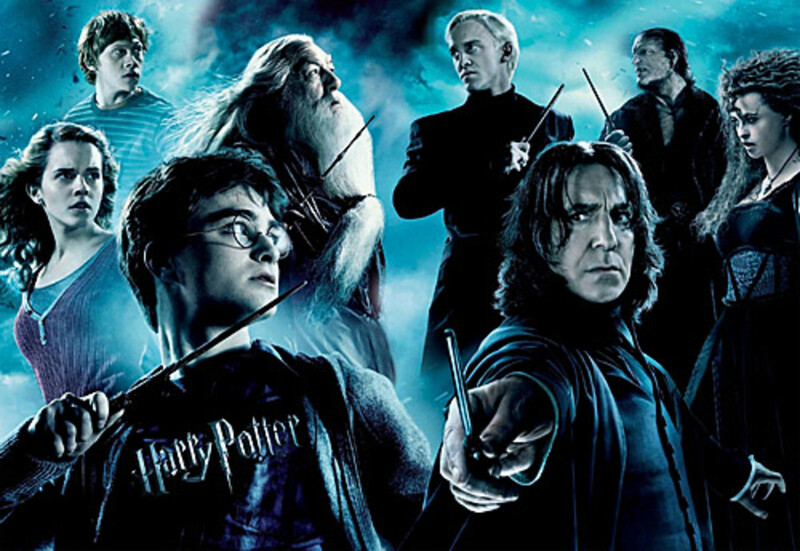 An instant rating success, the initial series was five episodes, with a two part Christmas special being added in 2009. The series won armfuls of awards including BAFTAs, Emmys and Golden Globes. 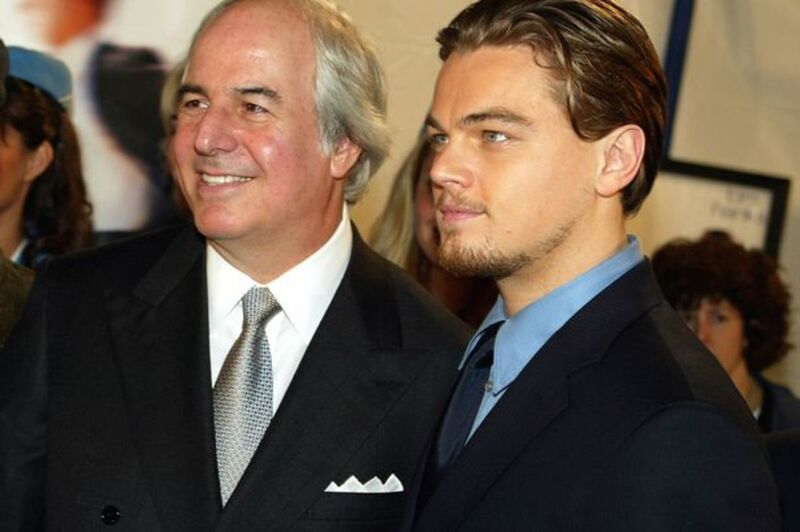 Awards were given not just for the actors, but for the art and costume design. 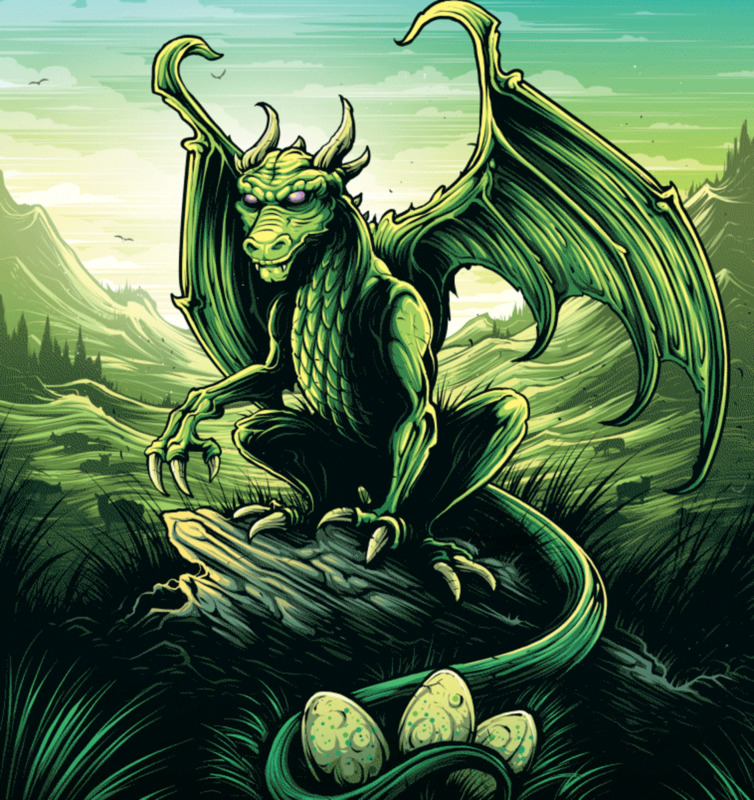 Lacock was inhabited at the time of the Domesday Book, but it didn't begin to thrive until the early thirteenth century. The Countess of Salisbury founded Lacock Abbey in 1232, the village being part of the Abbey's lands. Lacock grew with the wool trade, a major medieval industry. Placed near one of only two crossings over the River Avon and granted a market licence, Lacock became a prosperous town. 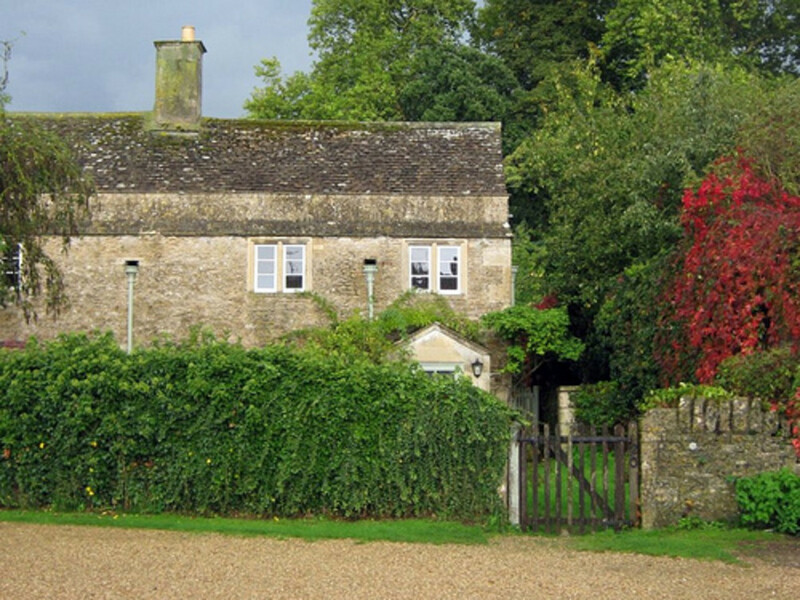 This prosperity is reflected in the solid stone walls of the houses that still stand in Lacock today. When the monasteries were dissolved by Henry VIII, Lacock Abbey and the village were sold, passing eventually to the Talbot family. One of the Talbots, Charles Henry Fox Talbot, was an early pioneer of photography. There is a museum dedicated to him at the Abbey. It was his niece, Matilda Talbot, who passed the Abbey and the village to the National Trust in 1944. The National Trust have ensured that the village retains its unspoilt appearance, which has drawn the attention not only of many tourists, but of location scouts for TV and film productions. Hi David - I really, really missed our countryside when I lived in the US and was very happy to get back here. I'm lucky to have been able to travel a lot, but I never grow tired of the UK. Thanks so much for commenting, appreciated as always. This is a great article, Judi. Such villages and the British countryside are almost painfully beautiful to me. When I helped deliver steel from the Midlands down to Hayle, Cornwall, I never got tired of watching the scenery and wondering what it would be like to live there. Voted up, etc. Hi Jools - I would love to live somewhere like Lacock - not because of the TV shows but because it is untouched. My husband hates "old stuff" but I love it! Thanks for taking the time to comment, great to hear from you. Judi, very interesting hub. Lacock is featured on the DVD version of Pride and Prejudice. Imagine living in a place made famous by so many TV shows and movies. Hi Susan - I hope that Cornwall will be on your "to do" list! But yes, Lacock is picture book-perfect. Thanks very much for commenting, always appreciated. Judi, When I do make it over to the UK I think I might have to stay for several months as my must visit list is getting quite long. Lacock looks and sounds like a lovely place. Hi Janis - we are lucky to have a beautiful country and this is one particularly beautify corner for sure! I love the way your hubs are introducing the nooks and crannies of England's times and spaces to me! 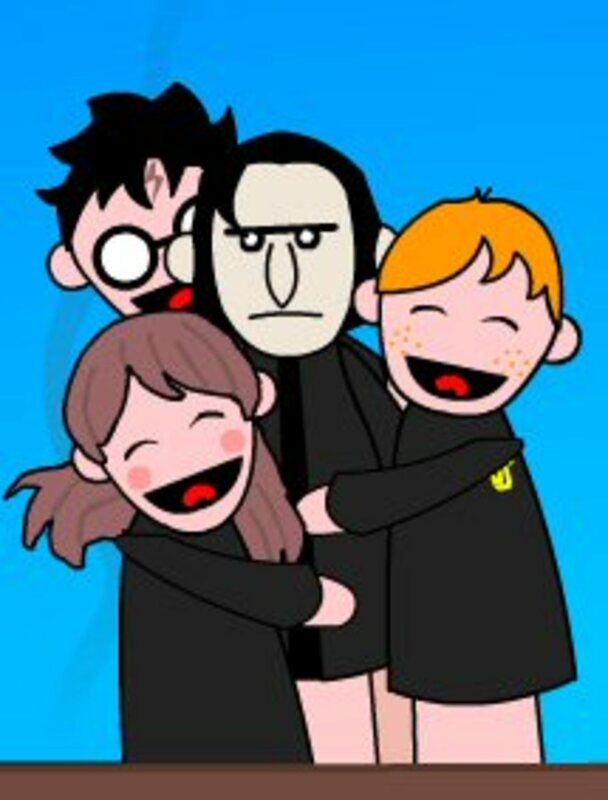 I will be hunting for Lacock now the next time I watch the Harry Potter DVDs! Hi CyclingFitness - the village really caught my eye in Cranford, but I wasn't aware of the Harry Potter connection. Hi Steven - hope you get to visit the UK soon, Lacock is certainly a beautiful place to see! I now have another location to add to my "must see" list in the United Kingdom. Thanks for writing this awesome hub! Hi Imogen - lucky you, I'm very envious! I've got no doubt that you will enjoy yourself, it looks so very gorgeous! Hi Just History - I do that too! There is a very lovely Art Deco house that crops up in TV programmes regularly and I am sure that someone else "lived" in Poirot's (latest ITV version) apartment building. Isn't it strange when you are watching a programme and you think "that was the house in.....". Our family are quite convinced that the houses of Midsummer must all be romantic cottages and huge mansions. Interesting hub and voted up! Hi Lord - Bristol and Cardiff are two cities close to my heart, so I hope you get to go one day. Lacock is completely dreamy and I need to go - I hope to get there later this year. I need to travel to UK. Was invited to Bristol and Cardiff. But it never happened. Thanks for the Article! Judy! Hi Angie - very glad that you enjoyed reading this hub, I enjoyed researching and writing it. A totally beautiful village, and wonderful backdrop for some great TV programmes. Oh Judi ... thank you for this hub. Thanks for sharing the history of Lacock Village. My family and I visited Lacock a few years ago and it was beautiful. Of course it was also interesting to see where some of the scenes from Harry Potter were filmed, as we are huge fans. This is a very informative and interesting hub. Hello Goodlady - so glad that you enjoyed reading about Lacock. I think it is absolutely beautiful and have my National Trust card at the ready - I just need to persuade my husband! I loved watching the Cranford trailer too - it was a fabulous series. It's a wonderful Hub Judi Bee, just fabulous. You've done a lovely job of telling us all about this magical, beautiful place as place and as location. So pleased to read it was in the Doomsday Book! Completely enjoyed reading it and reveled in remembering all the productions.